Please call Keilah at 1.888.287.2955 to re-confirm or book your seat as we are almost at capacity. 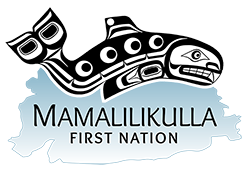 We will leave from Port McNeill at 10:00 am, with a stop for pick up in Alert Bay at the Government Dock at 10:15. Unfortunately we are unable to provide transportation to Port McNeill. Please arrive promptly as we have no time for delay. The NAIAD and three water taxis will take us to Village Island, where we will have a ribbon-cutting event, then a BBQ lunch. We have a max of 100 seats, so contact Keilah to get your name on the list ASAP! We look forward to seeing you on our new travel date: May 4, 2019. CUT-OFF TO REGISTER IS 4:00 PM, TUES, APR 23, 2019 or 100 people, whichever comes first. If your name is NOT on our manifest, you will NOT be able to catch a ride on one of our boats to Village Island.